Springer has made it simple to view JAOCS Open Access articles by creating an online collection. Bookmark and view all articles by clicking this link. 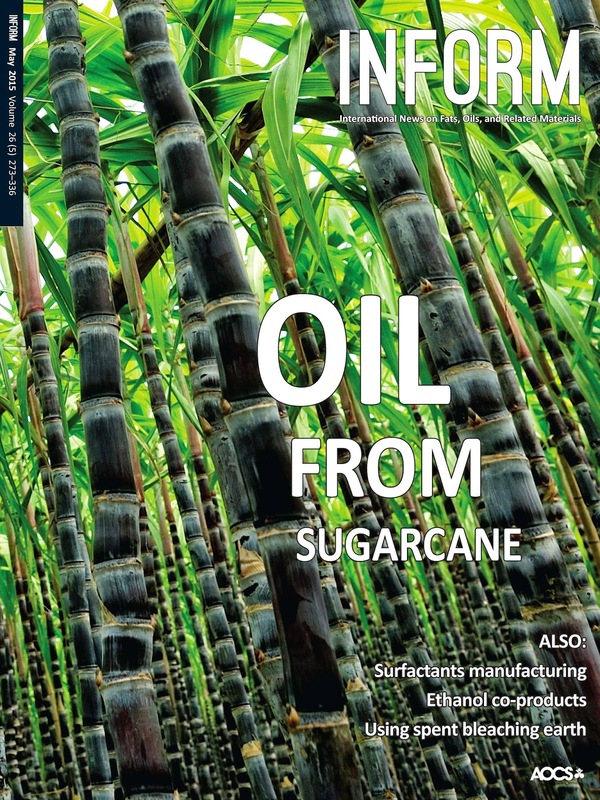 In the Editor's Pick this month, JAOCS Senior Associate Editor Rick Ashby, describes the production and characterization of unique polyurethane coatings derived from monoglycerides of neem oil. The results demonstrated that the polyurethane coatings exhibited good properties – better than some commercially available materials – and thermal stability, proving that neem oil has good potential as a renewable precursor for polyol production. The article is available for free download through July 18. Stay up-to-date with Table of Contents alerts for JAOCS! Dr. John MacKay has written several short articles on how to determine the “BEST” extraction. This one is focused on defining the key techniques used for testing for the major cannabinoids and the reasons for the exponential growth in Supercritical Fluid Chromatography as an analytical and purification/isolation tool. Testing of medical marijuana throughout the process from seed to shelf needs more harmonization of the compound standards and development to standard operating procedures. Along with the pioneering work of Dr. Chris Hudalla (ProVerde Labs) sited in Dr. MacKay’s article and previous article by Ms. Heather Despres (CannLabs) in May, 2014 INFORM (http://www.aocs.org/Membership/FreeCover.cfm?ItemNumber=40430), AOCS is proactively taking a leadership role in defining the testing procedures. This is being led by Dr. Cynthia Ludwig. 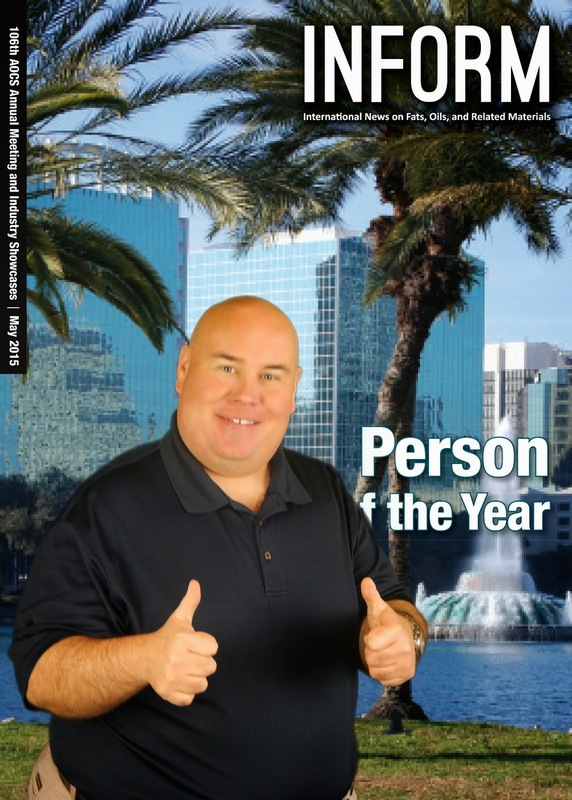 Take a look at this month's issue! Our new digital edition gives you easier access! Mixing spent bleaching earth with salt can eliminate the risk of spontaneous combustion while providing a high-demand product for livestock. Compare the advantages and disadvantages of glycerolysis pretreatment with those of other pretreatment approaches. As the value of co-products increases, ethanol plants are diversifying their portfolios and becoming less reliant on profits from ethanol. A new harvesting technology uses electric pulses to remove solids, de-water, and concentrate micro-algae at the commercial scale. Sugarcane that has been genetically modified to produce oil can produce 10 times more biodiesel per hectare than soybeans. Here is some exciting news: We are now delivering the entire digital issue of Inform magazine free of charge! In addition, Inform magazine has a new and improved format with better readability from any computer or handheld device via web browser or app. You can view back issues, share the entire magazine, or clip and share individual articles. 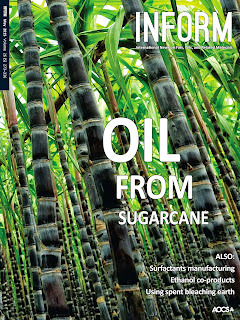 The app can be found in the Apple and Google Play stores by searching on “AOCS Inform.” The May issue presents articles on oil from sugarcane, a value-added product from spent bleaching earth, pretreatment of high-FFA feedstocks, how to harvest microalgae, surfactants processing advances, and more. Be sure to visit and bookmark the Inform website to view back issues and to learn about advertising opportunities. Lastly, we encourage you to email feature and other content ideas to Inform’s Managing Editor, Kathy Heine at kheine@aocs.org. Thank you, and please enjoy the free and improved digital edition of Inform magazine! Did you present at the 106th AOCS Annual Meeting and Industry Showcases? Both oral and poster presenters are invited to upload their presentations to inform|connect. Continue the conversation about your research and make contact beyond those that attended your session by posting your presentation on this innovative platform. 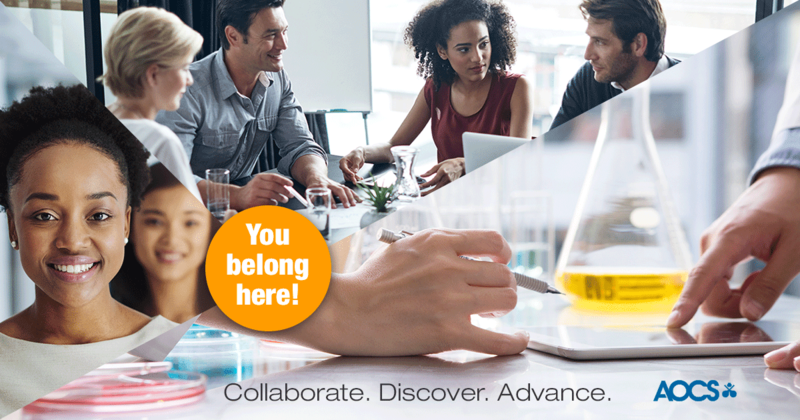 You told us you need a place to connect with peers, as well as access content relevant to your interests. So we have created inform|connect—a global information portal designed to facilitate the exchange of information and provide solutions to real-world challenges. How do I upload my presentation? Simply login with your AOCS credentials or create a free account. Don't forget to complete your profile. The information you provide will allow you to make business and research connections based upon your interests. The more you share, the easier it will be to make connections. There are numerous ways in which to upload your presentation and connect with peers.Please see an instruction document below.As you use this new platform please let us know how it works for you and what you would like to see more of. Please email Amy Lopez with any feedback or suggestions. Visit www.informconnect.org and get started! 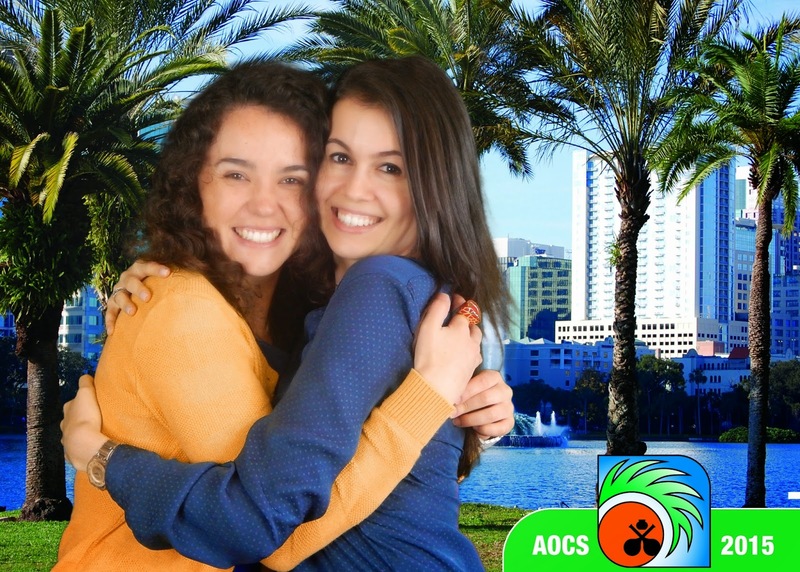 As the 106th AOCS Annual Meeting draws to a close it is evident by the photos that a great time was had by all. Photos from the meeting will continue to be posted on our Facebook page (https://www.facebook.com/AOCSFan). Here are a few for you to enjoy! Tuesday is a day to learn and honor! We have numerous technical sessions, Award Lectures and our Awards Plenary and Business Meeting. Join us as we recognize the achievements of AOCS members and hear what Society leaders are planning for the year ahead. AOCS President Steven Hill and AOCS Vice President Manfred Trautmann will each deliver a brief address, Society and Scientific awards will be presented, and routine AOCS business will be handled. The Supelco/Nicholas Pelick–AOCS Research Award lecture and Stephen S. Chang Award lecture will be presented as part of the session. Develop important connections with other industry professionals from around the world in a friendly, casual environment. This networking reception takes place on Rosen Shingle Creek’s recreation lawn and adjoining patio. Kick off your shoes, roll up your sleeves and round up a few colleagues for a rousing game of sand volleyball! Other games may include badminton, croquet, bocce ball, and bag toss. All Annual Meeting full-conference attendees, and Tuesday-only registrants, are invited to this networking event, which features delicious hors d’ oeuvres and a variety of beverages. If you are attending the 106th AOCS Annual Meeting & Industry Showcases we invite you to explore Orlando. Monday May 4th will be offering a FREE shuttle (you must bring your name badge!) to Pointe Orlando. The shuttle will leave from the transportation lobby and will run 6:00 pm to 10:00 pm. Pointe Orlando boats several dining, shopping and entertainment options. Find out more here. Want to see even more of Orlando? The Official Visitor Center of Orlando sells discounted theme park and attraction tickets and provides currency exchange services. The friendly, multi-lingual staff can assist with questions in person or via telephone at (407) 363-5872. Additional resources: interactive map, listings of events and free things to do, and on-the-go guides to theme parks, Orlando airports, restaurant, and more. Monday is a busy day at the 106th AOCS Annual Meeting & Industry Showcases! I hope you will enjoy the new Campus format -it you are not already familiar please check your printed program or view this webpage. Start your day with one of the Hot Topic Symposia or a Special Session. Then join us for the AOCS Career Fair 2:00 – 1:15 PM and 5:00 – 6:00 PM in Butler. You will then have the evening to enjoy Orlando. Complimentary shuttles (with AOCS name badge) will run from 6:00 pm -10 pm. * To qualify for the iPad Air drawing, your attendee profile must be activated on The App by 9:00 AM (Eastern) on Tuesday, May 5 and feature either your photo or short biography. The winner will be announced during the Awards Plenary and Business Meeting on Tuesday, May 5 beginning at 11:00 AM in Gatlin C. You must be present to win. Coming to Annual Meeting? Want to WIN an iPAD Air? Here's how! Access The App, AOCS’ new mobile event guide to search presentations and customize your Annual Meeting itinerary. Don’t forget to activate your attendee profile on The App for your chance to win an iPad Air! To qualify for the iPad Air drawing, your attendee profile must be activated on The App by 9:00 AM (Eastern) on Tuesday, May 5 and feature either your photo or short biography. The winner will be announced during the Awards Plenary and Business Meeting on Tuesday, May 5 beginning at 11:00 AM in Gatlin C. You must be present to win. Come see me (Amy Lopez) in the Butler Room or email tips@aocs.org. I loo9k forward to helping use The App to build your itinerary as well as network with colleagues! 1. Build your itinerary now! Interested in attending a session presented by The Society of Cosmetic Chemists? SCC sessions are included in The App, or you can view their entire line-up of sessions at http://www.scconline.org/aocs-scc/. View abstracts on The App, or access printer-friendly versions on the attendee only webpage. In a responsible effort to encourage sustainability, the abstracts will only be available electronically. Connect with other Annual Meeting attendees on The App, or access the traditional list of registered attendees on the attendee only webpage. The Tuesday night reception is outdoors, and casual attire is encouraged! We hope you’ll enjoy this fun evening of sand volleyball, basketball, bag toss, and ladder ball. Don’t forget to pack a donation to the Annual Meeting Toy Drive! All donations will benefit the Arnold Palmer Hospital for Children in Orlando. Visit the Travel Notes webpage for additional notes on airport transportation, suggested conference attire, and more. We look forward to seeing you in Orlando!